Home Depot might be the next big credit card breach. Here are some of the top credit card hacks of all time. 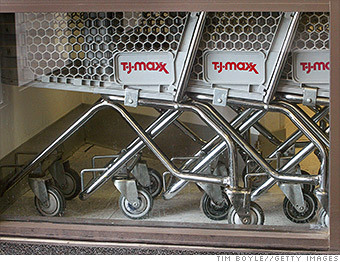 In 2005, hackers managed to sneak their way into the payment systems at TJX (TJX) stores -- brands like T.J. Maxx and Marshalls. Over several months, they stole card data on 94 million customers, according to court filings. The company didn't notice that huge chunks of data were leaving its computer systems. In fact, when TJX originally went public about the hack, it vastly underestimated the size of the breach, saying only 46 million shoppers' MasterCard and Visa cards were stolen. Albert Gonzalez, a hacker from Miami, was eventually caught and sentenced to 20 years in prison. Several banks sued to recoup losses related to the breach.